Moscow, December 23, Interfax – Patriarch Kirill of Moscow and All Russia has expressed concerns about Islamists’ activities in Moscow. 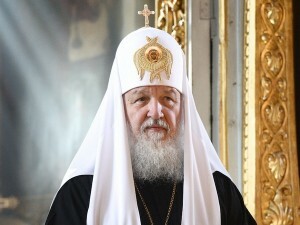 “The increase in the number of migrants, primarily from Central Asia and the Caucasus, in Moscow has increased the risk of ethnic conflicts,” the patriarch said at the Moscow Diocese assembly, according to the Moscow Patriarchate website. Many migrants have radical views and “are recruited by extremist and terrorist organizations, sometimes right in Moscow,” the patriarch said, adding that such propaganda has intensified among Slavic youth, including in educational establishments, prisons, sports groups, and social networking sites. “The radicals are extremely negative to Orthodox faith: they killed six Orthodox priests, including Moscow priest Daniil Sysoyev, in the past 15 years,” the patriarch said. He also said that people are often recruited by extremist organizations and calls for “a jihad against infidels” are made in mosques or near them. “The creation of a favorable atmosphere on the issue of construction of mosques on the territory where Orthodox population prevails directly depends on ethnic relations in every specific place, the level of ethnic crime and terrorism,” the patriarch said.